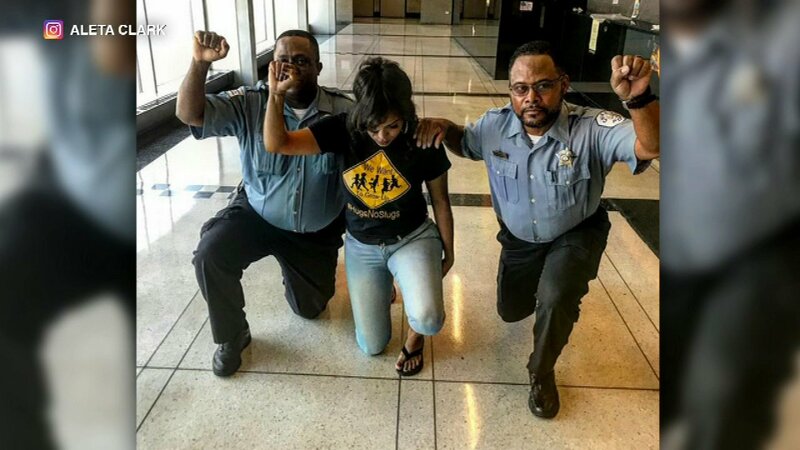 CHICAGO (WLS) -- Two Chicago police officers are facing discipline Monday night after posing for a photo taking a knee in what appears to be support for Sunday's NFL players' protest. The Chicago Police Department said the officers face a reprimand and a reminder of department policies. Those policies forbid officers from making political statements while in uniform and on duty.